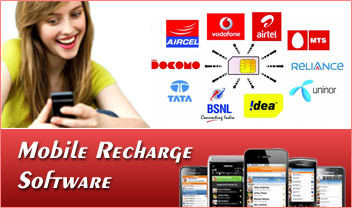 Now offers Mobile Recharge Software. 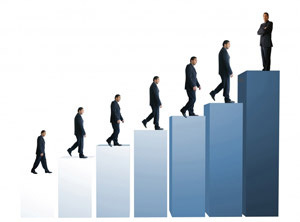 Our dedicated support and Software Development process makes us stand alone development company in India. This is an Automatic Mobile Recharge Software work with Mobile Recharge API as One Sim Mobile Recharge. Customers today prefer a way that could make their lives comfortable. Online prepaid recharge is very helpful for those people who mostly work in home or office with an internet connection. They don’t have to go anywhere for recharging prepaid mobile/dth or data card. They just have to follow some easy online recharge steps and recharge will be done swiftly. The recharge api enables you to recharge the customers’ account for different service providers. This saves you from the difficulties one has to otherwise face in recharging the mobile/DTH/data card through vouchers/coupons. ustomers can recharge their account easily and instantly. Customers can enjoy the benefits of doing anytime and everywhere online recharge by clicking few buttons on mouse. Consumers can select any method of payment like Net banking, Credit Card and Debit Card as per their suitability. Online prepaid recharge is very helpful for those people who mostly work in home or office with an internet connection. They don’t have to go anywhere to get his mobile recharged. Online facility offers complete for customers DTH Network, Visa SMS Online services. To start a dedicated Mobile Recharge Business to promote dealer distributor network with One Sim Mobile Recharge, J-Recharge system is best application. We named it as J-Recharge. System, It offers complete control over your own mobile recharge business. You can control your operators, Long Code, Bulk SMS and Mobile Recharge API as per your needs. I’ve purchased a software for level plan and mobile recharge from Jai Softwares. The best part of the company is after sale service. My experience with Jai Softwares is phenomenal. They are doing wonderful job in MLM industry. I’ve purchased a Matrix MLM software. They delivered it in 7 days and whenever I face the problem, the support team rectify it in 24 hours. Jai Softwares has done a great job for me and also help out in developing my dream project of shopping cart and repurchase plan. Jai Softwares has provided me a good MLM and advertisement software in budgeted price and in less time period. Support system of the team is 24x7. Jai Softwares is leading provider of customized Web design, Web development, Customized Software and marketing solutions. We've been recommended by Business Houses and many of the top level consultants. We are number one because we deliver best results.